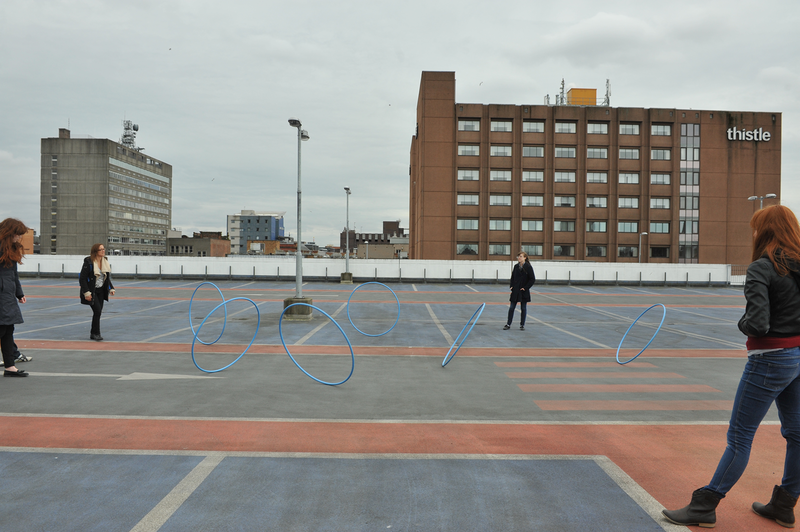 As part of 'Melbourne in Glasgow', Bianca Hester undertook a series of actions utilising made and found objects in various locations in Glasgow over a number of days. 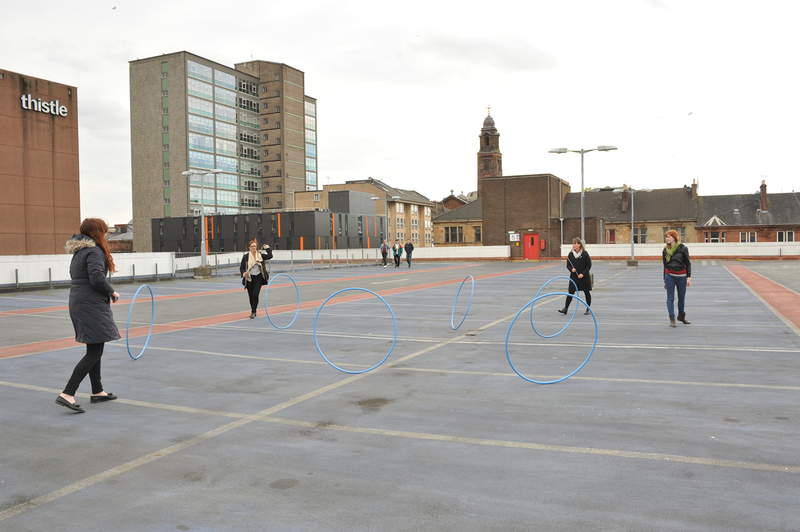 Actions included a performance with steel hoops on the top floor of a city car park, holding aloft a cast copy of a meteorite in front of various architectural facades for very short periods of time, and negotiating with residents to open all their doors and windows at the same moment on a designated day. She also invited people she meets to pin up an A4 poster up in their workplaces that reads "only from the perspective of an observer situated on the surface of the earth does day and night occur". 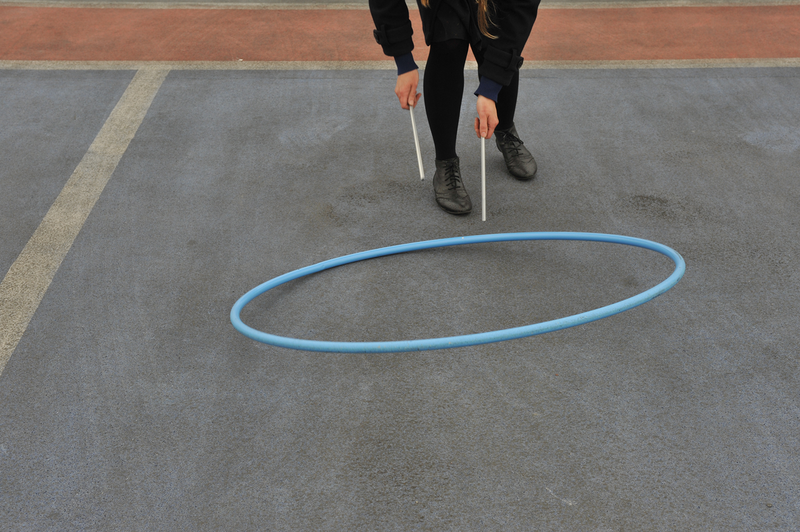 Working across disciplines Hester fuses elements of performative practice and site-responsive engagement, with a strong sense of materiality, spatial and acoustic awareness. 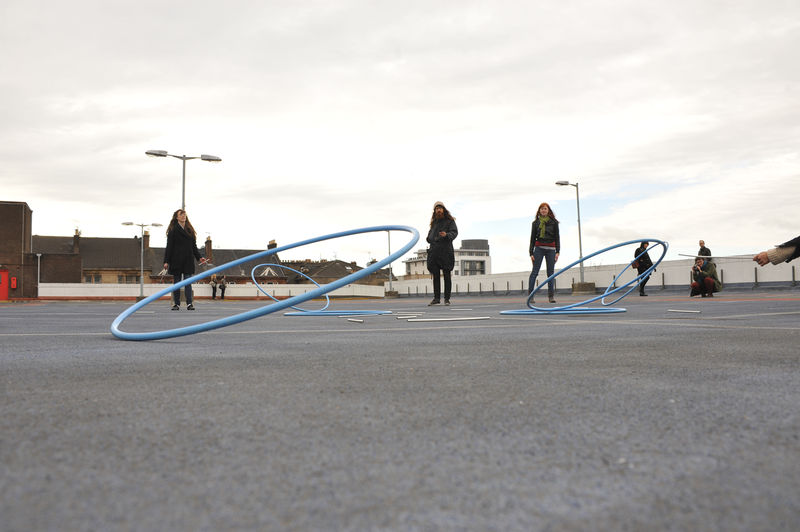 In a broad ranging scope including interventions, installations, events and publications, Hester brings people, structures and objects into an encounter with each other, giving sculpture a renewed social focus as one of its possibilities. Bianca Hester (born 1975 Melbourne, Australia) is motivated by an exploration of the connection between space, materiality and embodiment. Her projects are informed by sculptural and architectural processes and oriented by an engagement with the unpredictable forces of matter and time. She works in response to specific material, social and spatial conditions and builds provisional constructions and open-ended situations, often involving collaborations, events, imagery and video. Alongside this practice she teaches, writes and generates publications. Recent solo projects include ‘a world fully accessible by no living being’, Melbourne Prize for Urban Sculpture, Federation Square (winning entry), ‘big log jam,’ with Open Spatial Workshop, AEAF, Adelaide, (2011), ‘please leave these windows open overnight to enable the fans to draw in cool air during the early hours of the morning’, Helen Macpherson Smith Commission, commissioned by Juliana Engberg, curated by Charlote Day, ACCA, Melbourne (2010), ‘only from the perspective of a viewer situated upon the surface of the earth does day and night occur’, The Narrows (2009), The West Brunswick Sculpture Triennial (with the OSW collective 2009), ‘fashioning discontinuities’, the Centre for Contemporary Photography (2009) and ‘projectprojects’, The Showroom in London (2008). The book titled ‘accommodating spaces, materials, projects, people, videos, actions, objects, thoughts: relatively’ was commissioned by The Narrows in 2009. 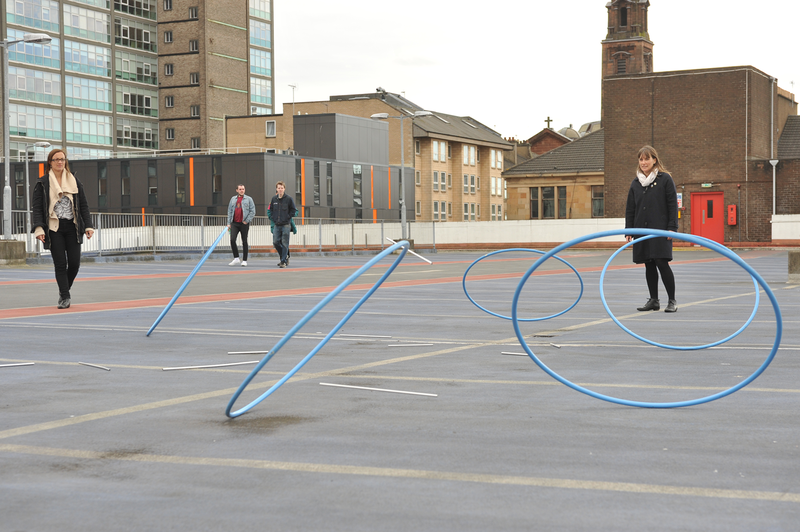 Bianca Hester recently completed a PhD by project in sculpture at RMIT. She was a founding member of CLUBSpropject inc (2002-2007), a member of OSW (2003 – ongoing) and co-ordinates the second year program in the department of Sculpture and Spatial Practice at VCA.